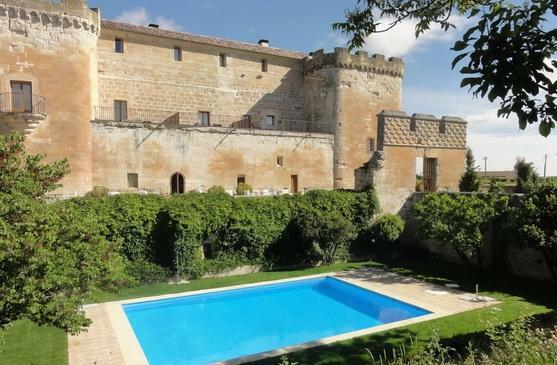 The moat is now a lovely walled garden with a glimmering pool, the battlements sunny terraces for guests to relax and take in the views, and the armoury a cool shady patio but in every other way this hotel is a very ‘proper’ castle indeed. 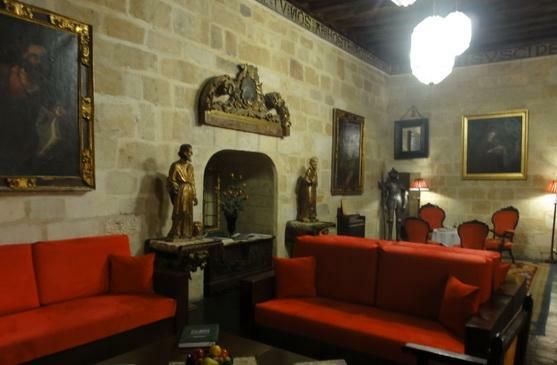 This XV century castle, at various times owned by Ferdinand, the Catholic King, the Duke of Alba and Cardinal Fonseca was declared a monument of national interest in 1931. 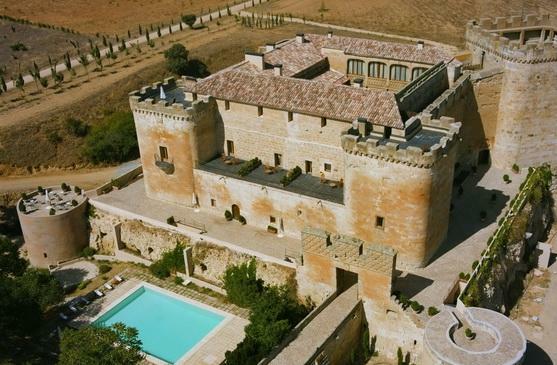 Looking out over vineyards to the dehesa beyond, where you can watch the cowherds at work, the castle is perfectly situated to visit monumental Salamanca and Zamora, home to Spain’s finest collection of Romanesque architecture. 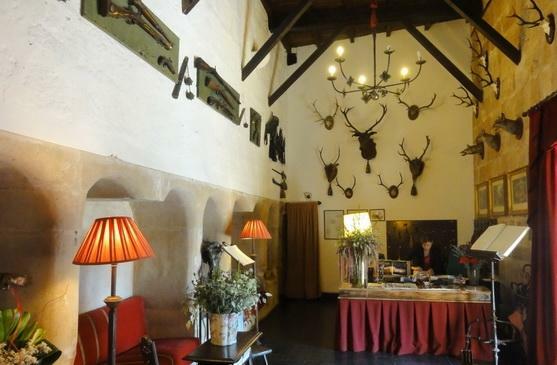 For wine lovers the regions of Toro and Rueda are just nearby as is the Ribera del Duero – but beware, you might find it difficult to leave the hotel! 41 rooms including some junior suites and superior rooms. 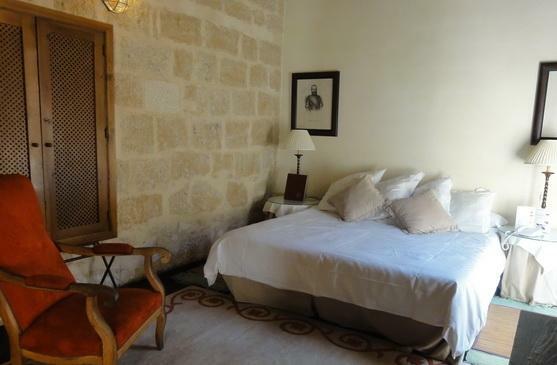 All rooms are highly individual, spacious and surprisingly light and airy whilst being decorated and furnished in keeping with the grand buildings. Suites have sitting room, some in two rooms. 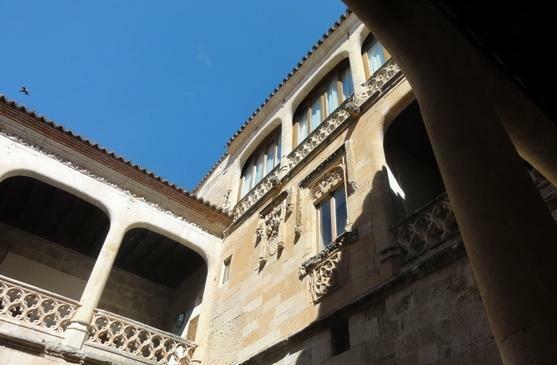 Due to the historic nature of the building it is poorly suited to people with disabilities. There is no lift and no rooms adapted for the disabled. Please consult us if in doubt. 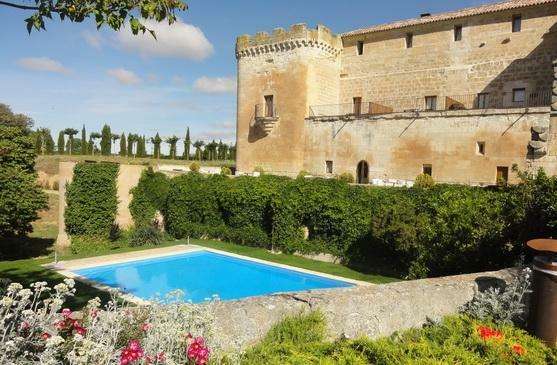 Swimming pool set in the moat which has been converted into a lovely walled garden. Lots of common lounge space. Hotel can arrange visits to Salamanca & Zamora (taxi if required) , vineyards, and a 'ganaderia' where bulls are raised for the ring. 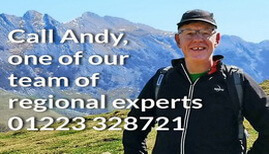 Horse riding and golf can also be arranged locally. 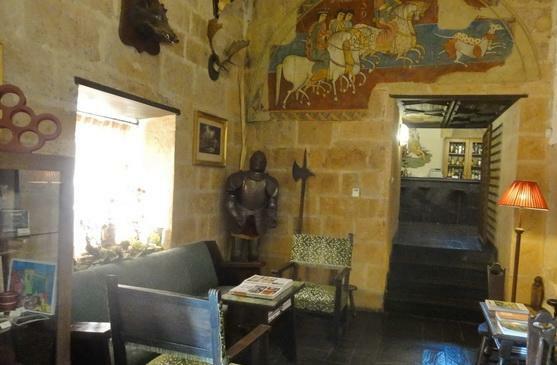 Separate building for functions in the grounds but discreet from the main hotel. During the week breakfast is served to table whilst at the weekend (and on local holidays) a buffet breakfast is served. 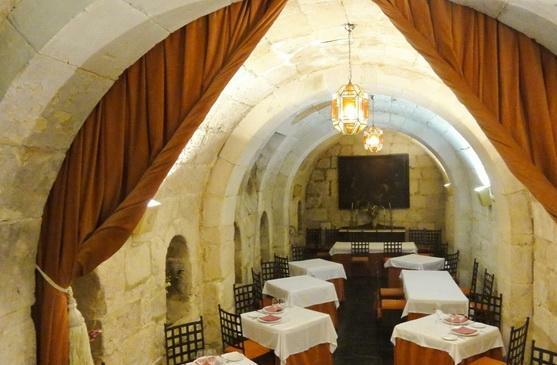 The restaurant, popular with the locals and Salmantinos from the city is housed in the wine cellar. They have two chambers so there's always room for guests even when they have a function. 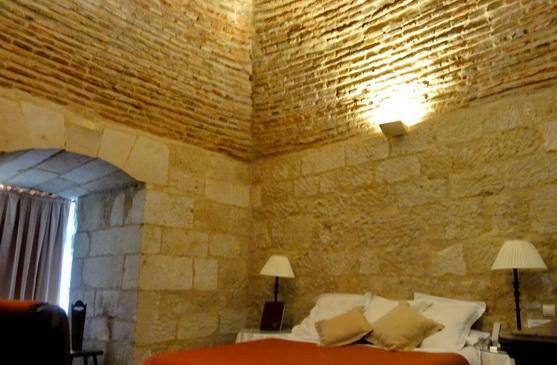 The cuisine is typical Castillian style with the emphasis on local produce but with a light personal touch. They are happy to cater for vegetarians and other dietary requirements. 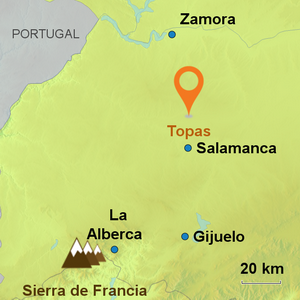 Topas is a small hamlet 30km north of Salamanca capital. 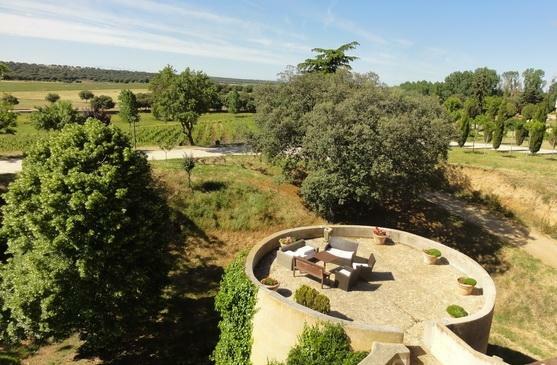 It is well placed to explore the wine regions of Toro and Rueda and for walking or horseriding in the 'dehesa' (the unique landscape of evergreen oaks where pigs, cattle and bulls for the bullring are raised). 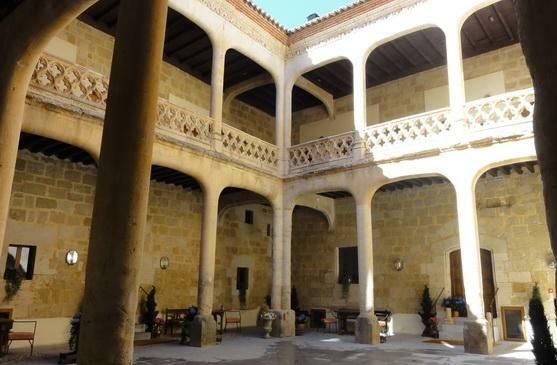 The main attraction here is the Castillo de Buen Amor a 15th century castle, once owned by King Ferdinand and recognized as a Monument of National Interest, now a delightful hotel and restaurant.